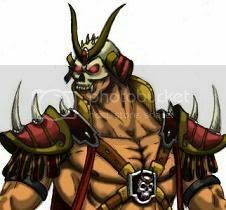 The warriors of Earthrealm are puppets for the amusement of a fallen elder god! Shinnok has returned from the Netherrealm to shape a dark destiny. 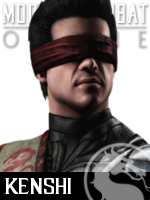 You can wield his awesome power for your own end if you beat the Mortal Kombat X Mobile free-to-play challenge! You can't keep a fallen elder god down! Last week's Invasion Boss launched a full scale war against online players in Mortal Kombat X for a second time! This time Shinnok returned to unleash his infernal power in the name of the Elder Gods! The fallen elder god represented a tall order challenge - one you couldn't overcome on your own! It was a team effort as the boss tier threat pushed players to do what damage they could before succumbing to defeat. In the end, the Special Forces emerged victorious! 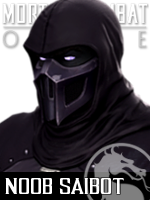 Each week players can choose to join the White Lotus Society, Brotherhood of Shadow, Black Dragon, Lin Kuei or Special Forces. Representing a clan earns points toward special unlockable items and achievements, with every action in the game contributing to your clan's total assault! Use clan recruitment posts on the forum to share valuable boss strategies to help spur your faction to victory! Choose your destiny and fight for them - or against them! Had a change of heart? For a small points penalty, you can switch clans at any time. Rising through the ranks of each clan will offer in-game benefits! Learn more about Clans & Invasions in the Mortal Kombat X: Next Trailer! Art & concept house AtomHawk Design has continued its relationship with NetherRealm Studios, lending their world class talents to the design stage of Mortal Kombat X! The UK based studio has been a visual representative for the series since Mortal Kombat (2011), creating memorable and iconic images similar to those released in a recent update of their online portfolio. Included in the update are design images of Shinnok, Raiden, Reptile, Erron Black & Johnny Cage. By the gods, reality is in peril! The next Invasion Boss has launched full scale war against online players in Mortal Kombat X! 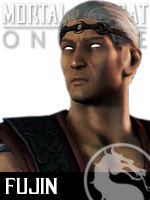 This time Shinnok is unleashing his godly powers in the name of the Elder Gods! The fallen god represents the ultimate challenge - one you won't overcome on your own! This will be a team effort as the boss tier threat pushes you to do what damage you can, before succumbing to nigh inevitable defeat. 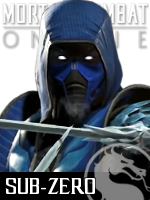 Players can choose to join the Special Forces, Black Dragon, Brotherhood of Shadow, White Lotus Society or Lin Kuei. Representing a clan earns points toward special unlockable items and achievements, with every action in the game contributing to your clan's total assault! Use clan recruitment posts on the forum to share valuable boss strategies to help spur your faction to victory! The White Lotus were victors in Scorpion's Netherrealm Invasion. Choose your destiny and fight for them - or against them! Had a change of heart? For a small points penalty, you can switch clans at any time. Rising through the ranks of each clan will offer in-game benefits! Learn more about Clans & Invasions in the Mortal Kombat X: Next Trailer!